Aaron R Lee | Robert J. Reeves P.C. 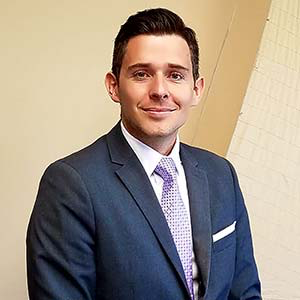 Aaron Lee is originally from Tennessee and a graduate of the Charlotte School of Law. Before deciding on the legal field, Mr. Lee pursued a degree in finance. He is currently a North Carolina criminal defense lawyer with a focus in DWI defense. Since being admitted to the North Carolina Bar Association in 2012, Mr. Lee has been handling traffic and criminal cases across a number of NC counties. During Law School, Mr. Lee worked at Legal Services of Southern Piedmont in their Low Income Taxpayer Clinic. He specifically, helped clients by working directly with the IRS to reduce or eliminate past taxes. When he isn’t working diligently on his clients’ cases, Mr. Lee spends much of his time volunteering with Wills for Heroes— amongst other charities and community outreach initiatives. While Aaron is originally from Tennessee, he currently resides in Cabarrus county with his wife, Kelsey.